What Can Affect Chemistry Results? The study of chemistry requires weighing, measuring and mixing chemicals in accurate amounts. Such activities allow you to examine different types of matter and how they react with others. When chemistry results are not what are expected, there are several common sources of error. Knowing the sources of error allows a student to avoid common mistakes. Errors that affect results often involve improper handling of weighing tools and reagents. 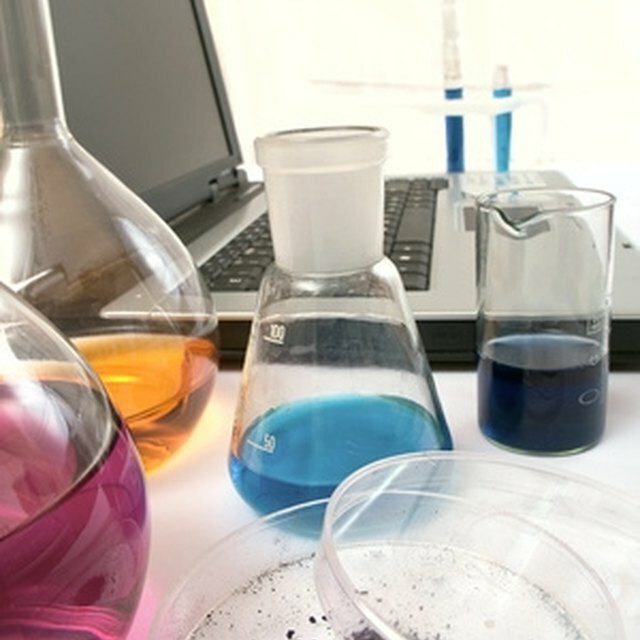 Chemistry experiments require that compounds and solutions be accurately measured and mixed. For solids materials, balances are used to weigh out specific amounts of a substance. Electronic balances need to be calibrated correctly and, before each use, normalized to zero -- meaning an empty scale should reflect a value zero amount. Also, each balance has a range of accuracy, so a balance should only be used to weigh an amount that is within its designated capabilities. Measuring the right amount of liquid for an experiment requires the use of graduated -- meaning it has a uniform scale marked on its side – containers. Graduated cylinders are come in many different sizes, each with its own range for accurate volume measurements. In addition to picking the right size, it is important to read the volume correctly. The top of a liquid in a cylinder makes a U-shaped curve, called the meniscus. The accurate reading of the liquid level is the bottom, flat part of the curve. Also, cylinders should be cleaned before use. Very small volumes should be measured with a pipette, not a graduated cylinder. What you put in is what you get out. Chemistry results are best when pure substances are used as reagents. Impurities can cause extra reactions that change the property of the product or change the amount of product that is yielded. Certain chemicals are light-sensitive and should be stored away from light -- they usually come in brown plastic or glass bottles. When exposed to light, they degrade, and so the actual amount you add to the reaction is less than what is required. Improper storage of reagents affects the experiment before it even starts. 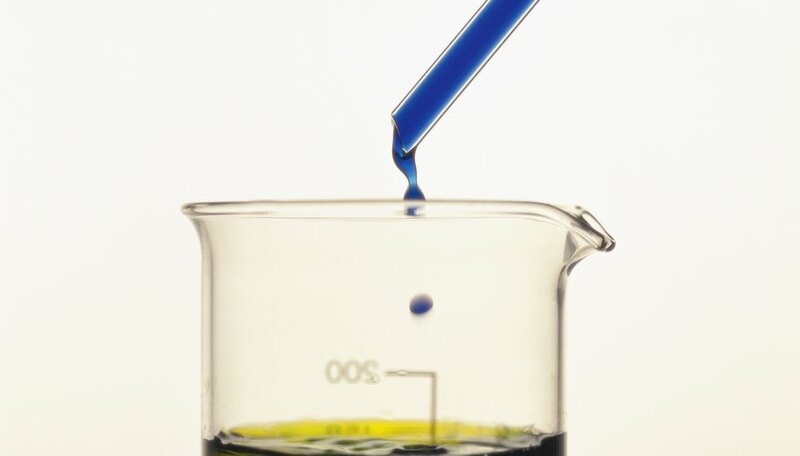 Chemistry experiments require moving liquids and solids from one container to another. When transferred between containers, solids and liquids can cling to the insides of cylinders and pipettes. Thus, each time a substance is transferred, a little bit of it is lost because it sticks to the container. When a chemical reaction occurs due to heating, the products may cling to the side of the container, making it difficult to scrape off and measure exactly how much product was formed. H., David. "What Can Affect Chemistry Results?" Sciencing, https://sciencing.com/can-affect-chemistry-results-9153.html. 24 April 2017.